When Rajdeep creates a havoc at Kunal’s house, Nandini gets brave to defend Kunal. She tells the inspector that Kunal is her savior, Kunal took a stand for her respect when Rajdeep tried to humiliate her by the MMS. She tells the police about Rajdeep’s misdeeds. Nandini doesn’t get scared of Rajdeep, as she has transformed into a bold person now. She stays strong and tells the inspector how Rajdeep leaked her picture publicly to humiliate her. 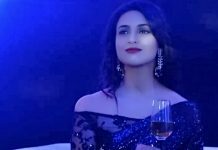 She tells Rajdeep that his misdeeds can’t break her down now, as she has moved on, thanks to her best friends Mauli and Kunal. She upsets Rajdeep by her verbal statements. Later, Nandini thanks Kunal and starts regarding him as her bestie, since he is very supportive. Kunal and Mauli plan for their short family vacation. Kunal and Mauli tell Dida that they will visit the temple to perform the special mannat puja decided by her. Dida gets happy. The entire family reach the pilgrimage site and offers prayers. Mauli wishes that Kunal always stays with her. She tries a sacred thread to his wrist. She tells Kunal that they will always be together. Kunal promises Mauli that he will always be of her. When the family proceeds, they face a land slide on the way. Kunal and Nandini get stuck together. 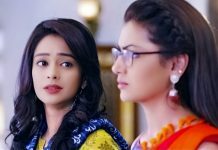 Nandini panics, while Kunal pacifies her. Mauli is with the family members, stuck on the other side. Kunal worries for Mauli and family. Nandini gets all his attention. He feels responsible for Nandini’s well being. They face a natural calamity and get separated into two groups. 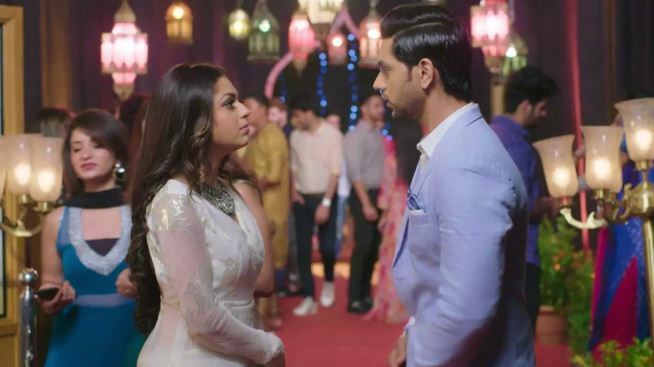 Kunal fails to meet Mauli. Nandini tells Kunal that Mauli and Dida can’t come to this side to perform the mannat, I won’t return back, I will complete Dida’s mannat. She decides to walk the high stairs. Nandini climbs the temple stairs. He follows her. She gets hurt by the thorn. She slips on the stairs. Kunal comes to her rescue and holds her. They have a moment. While Nandini doesn’t know his feelings, he tries to hide his feelings from her. He cares for her leg sprain. He asks Nandini to walk only if she feels comfortable. A pandit sees them and thinks they are a couple. He talks about love and blesses them. He finds them in love. Nandini tells pandit that Kunal is not her life partner. Kunal hides his love. Nandini feels awkward. He decides that he won’t grow feelings for Nandini. He wanted to spend time with Mauli, but destiny brought him close to Nandini again. He deals with his emotional conflict.